Thanks to the modern day raw health movement, raw cacao (also known as raw chocolate) can be found in various forms in any health food store and most certainly all over the internet, but what is raw cacao and how can you best enjoy this type of chocolate? Raw cacao (pronounced ka-KOW and sometimes called cocoa) is chocolate in a nearly pure and natural form. When the unroasted cacao beans are cold-pressed, the enzymes are not compromised as they are in other types of chocolate. At the same time, the pressing removes the fat from the beans to create cacao butter. Raw cacao can be found in several different forms. It makes frequent appearances as raw cacao nibs as well as finely ground raw cacao powder. These are common ingredients in many varieties of raw food bars and cookies that you might see for sale. It's easy to find cacao butter in its raw form. You can use raw cacao powder for desserts, smoothies, and other drinks. It's useful whenever you need a consistency with less grittiness than you can get from grinding the nibs at home. 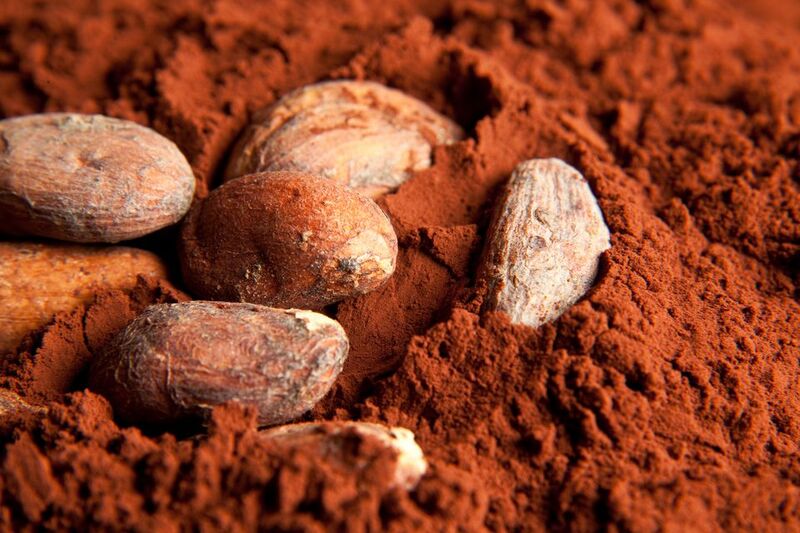 There is a lot of debate regarding the nutritional value of raw cacao. Like many raw food products, raw cacao gets a lot of hype for its magical nutritive properties. It's reputed to be able to improve heart function, reduce stress, and even lower cholesterol. It is still chocolate and there are health concerns with eating a lot of chocolate. The benefits of raw cacao are still questionable, though it's not likely to be your miracle cure for all that ails you. It's still recommended to limit how much chocolate you eat, no matter if it's raw, dark, milk chocolate, or any other variety. None the less, if there is a healthier chocolate, raw cacao is it (in moderation). Want to try using raw cacao to make your own homemade raw vegan chocolate treats? It's simpler than you might think. A raw chocolate shake is possibly the easiest place to start and there are plenty of other raw cacao recipes to try. If you're feeling particularly crafty in the kitchen, you might even think about making homemade raw vegan chocolate. The book "Naked Chocolate" by David Wolfe is a fantastic read for anyone interested in raw cacao. It includes all the history and information you could hope to find out about chocolate. You'll also find dozens of raw chocolate recipes, including drinks, desserts, healthy snacks, and raw chocolate ice cream to try.